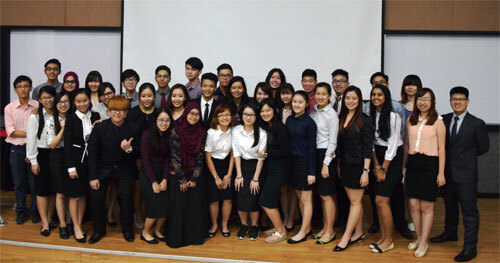 It was a jubilant moment for students from INTI College Nilai’s (ICN) Australian pre-university programme when they received their results for the recent South Australian Certificate for Education International examinations (SACE). 16% of the ICN students from the SACE programme were ranked among the top 5% in the world, achieving ATAR (Australian Tertiary Admission Rank) 95 and above. 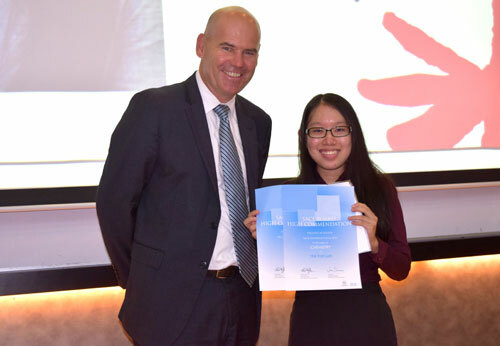 Top scorer, Loh Hoi Yan, scored an impressive 99.70 and was the recipient of the Merit Certificates for Chemistry and Physics – awards presented to the student with top scaled scores in the world based on respective subjects. Loh also received the SACE Board’s Highest Achiever Award for Chemistry and Physics, having achieved the highest scores among all students from China and Malaysia who studied the above mentioned subjects. She was presented the awards personally by Dr. Neil McGoran, Chief Executive of SACE. The former student from SMK Dato’ Mohd Said, Nilai attributed her success to the dedicated lecturers from ICN, who she says were open to questions at any time and helped students discover and hone their potential. Facing her biggest challenge at the time, which was her command of English, Loh sought the assistance of friends and lecturers to improve herself, so as to better articulate her thoughts and views in class and through her assignments. “It takes courage to ask for help and I believe one should never give up and always seek to improve and do better if they fail at first,” shared Loh, who is grateful for the support and guidance she received to develop her language skills. Hoping to pursue her passion in medicine, Loh’s drive to become a doctor stems from her deep desire to save lives and contribute to society through her skills and abilities. ICN is the largest centre for SACE in the southern region of Malaysia and is one of the few SACE International examination centres in the country that are recognised by the SACE Board. INTI’s SACE graduates have gone on to complete their university education around the world, establishing successful careers in fields such as commerce, medicine, pharmacy, engineering and law.